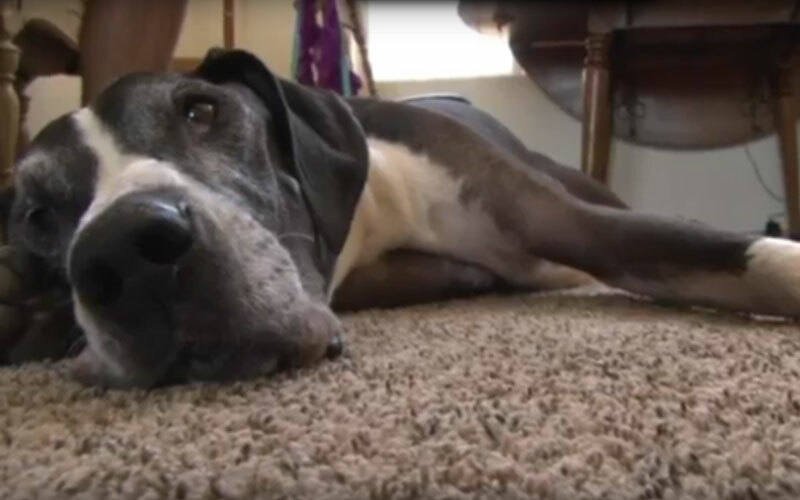 While he may seem like a typical dog, this Great Dane named Relay has overcome a lot in his nine years. And recently, so has his owner, Jenny Allert of Mesa. Relay’s latest challenge began when Allert noticed an abscess on one of the dog’s legs last February, resulting in a trip to a veterinary emergency room. It was a symptom of valley fever, and it meant the fungal disease had spread to other parts of the dog’s body. Anti-fungal medication and steroids helped build Relay’s strength, but the journey has been long and expensive, Allert said. Valley fever is generally known as a disease affecting people. But it strikes dogs as well, and for them it can be debilitating or deadly. Common activities like taking a hike can expose a dog to valley fever, which is spread by spores found in soil. Arizona Humane Society veterinarian Melissa Thompson says valley fever is a common reason for people to not adopt a dog there. Some dogs with severe cases of valley fever are euthanized, Thompson said. Allert said even though Relay’s valley fever has been a financial burden, she’s glad he’s finally back to his old self.